Snowy roads, “jingle bells” and mouthwatering smells in the air: it is all about Christmas. Families and friends gather to celebrate this wonderful holiday. For many people, Christmas is associated with home and comfort. But sometimes, many of us want to use this time of the year to plan a big family Christmas vacation elsewhere. The best way to start a new year is to visit a new place. Thus, we prepared top Christmas getaways for you to feel the holiday spirit and make this year celebration the most memorable. 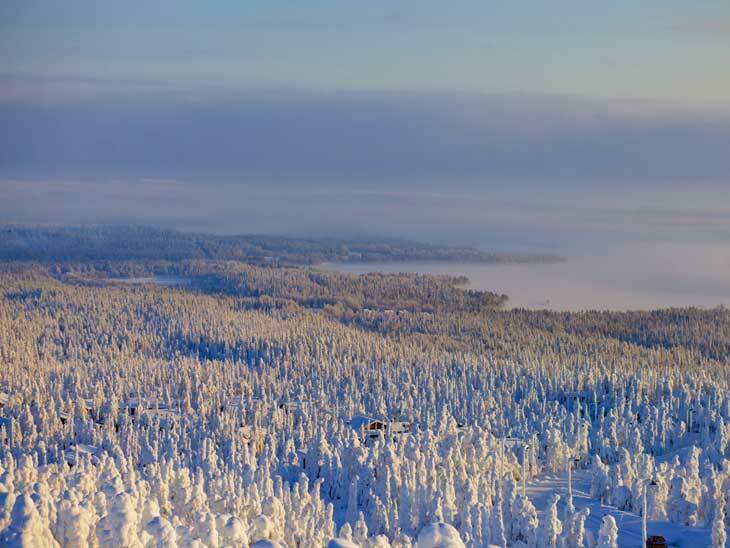 This largest region of Finland is associated with winter and fun. Not surprisingly, this place is thought to be Santa Claus’s residency. Frosty landscapes, enormous ice sculptures and countless amount of Christmas trees will plunge you into the atmosphere of magic winter. The pink colored sky is one more reason to visit Lapland. In addition to the mesmerizing sceneries, Northern Lights excursions, Santa Claus Village, Lapland can offer you wide choice of winter activities. We bet you were dreaming about husky rides! Come to Lapland and turn your dreams about white Christmas into reality! 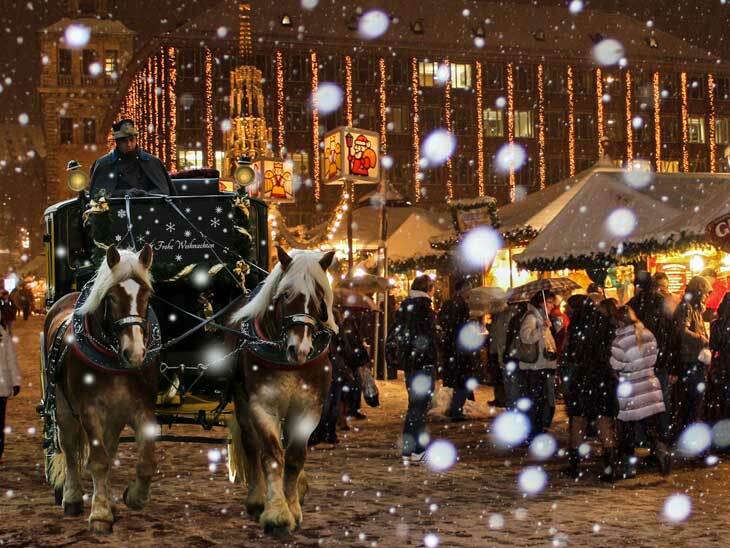 Oldest market in France is the perfect place to drink hot mulled wine and try traditional Alsatian treats. This UNESCO-listed place is one of the best Christmas destinations. Historical cathedrals and majestic plazas decorated in red, green and yellow colors will add some mystery to the celebration. More than 250 wooden stalls will surprise you with the choice of amazing ornaments, traditional Nativity figurines, and seasonal sweets. Carols and plays together with ice skating rinks will do their part in making your celebration enchanting. Spanish colonial architecture center located 11.000 feet above sea level is a home for many Roman Catholics. Christmas here is called Noche Buena, which means Good Night. You will be fascinated with the number of Nativity scenes placed everywhere in the city. Cuzco is the place to try traditional spicy roast turkey with salad. Salsa dancing is very beloved activity in the region. You will find local people dancing all the night long. Peru is a beautiful and religious country. 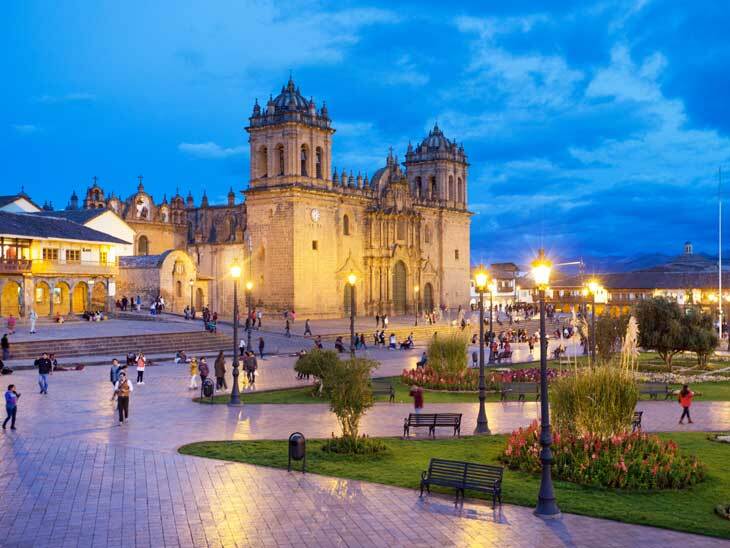 If you want to feel authentic Peruvians traditions, head to Cuzco on winter holidays. Hong Kong is the place of the most fascinating New Year’s fireworks. Victoria Harbor decorated with all the possible festive ornaments is where the celebration takes place. 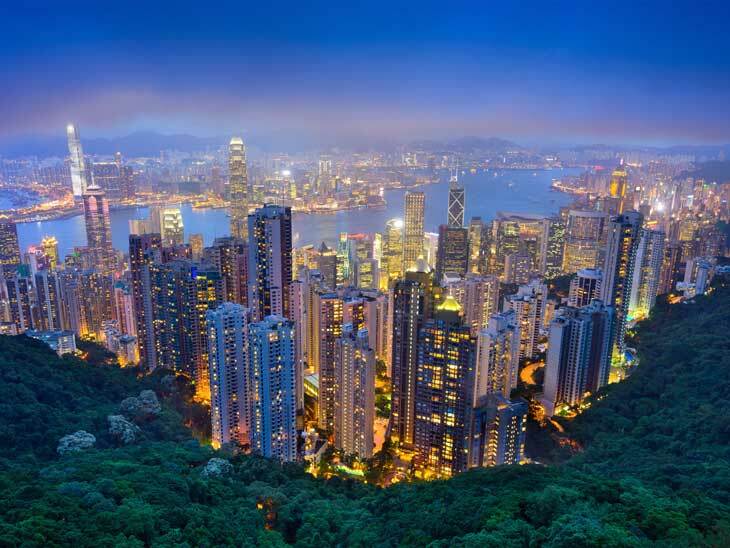 Winterfest, which is open from 1st to 31st December every year, is a must visit in Hong Kong. Head to Hong Kong Disneyland and Ocean Park to meet Santa with reindeers and elves. Though, Hong Kong is not a city to celebrate traditional Christmas, seeing glowing and glittering skyscrapers is worth visiting. Canadians know how to make you feel real Christmas spirit. Lovely decorations transform the city into the cozy and atmospheric village. Instead of googling “write me an essay in Canada”, many young Canadians start browsing recipes of aromatic mulled wine in the winter times. Not surprisingly, delicious scents are in the air on every street of Quebec. Get yourself a hot sausage on the annual German Christmas market and enjoy the magical music at beautifully decorated churches. 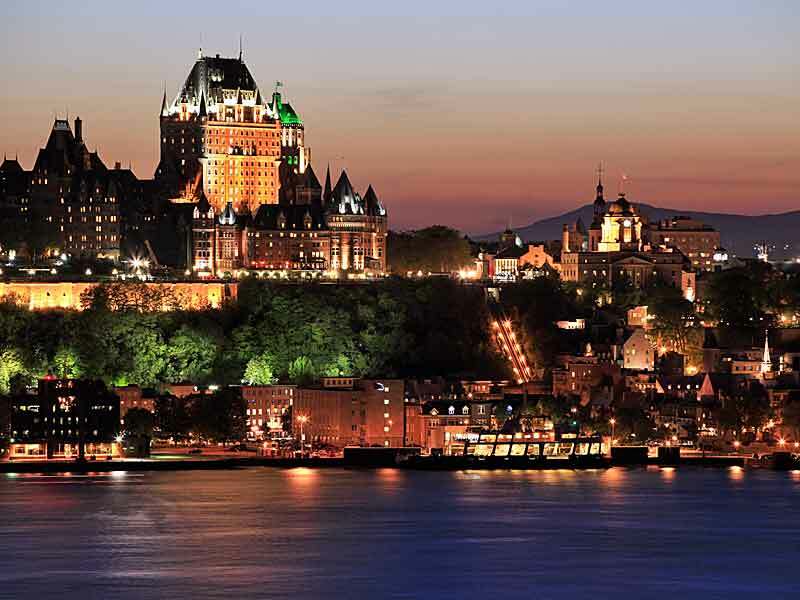 More on Quebec City in Highlights of Quebec City. 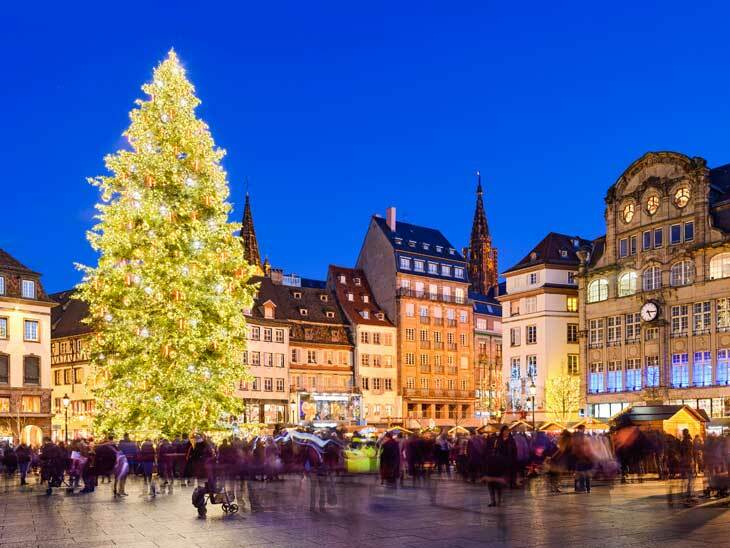 Another European city where you can spend one of the best Christmas vacations. The local market will amaze you with a variety of goods, souvenirs and winter activities. You can enjoy live performances and try yourself in candle creating. Toy Museum of Nuremberg is where you can get acquainted with toy making traditions and delve into real fairy-tale. This list wouldn’t be complete without this city! Little streets and shops are decorated following authentic Scandinavian traditions. Locals love spending time with families in the cozy home atmosphere. Visit workshops in Christmas Village open every weekend and try ice-skating sponsored by local phone company. 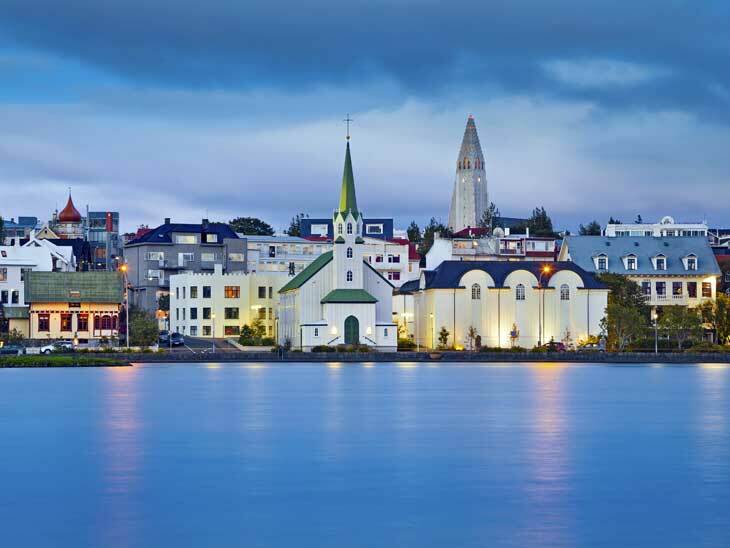 Don’t miss a chance to try traditional Icelandic cuisine. The best place to do that are Christmas buffets, which offer smoked pork, gingerbread cookies, and seafood. Buffets are held by restaurants around the city. Hurry to book the table in one of them and enjoy winter holidays in Iceland! Those places are great to delve into the festive atmosphere and have fun! Plan your journey and have Merry Christmas! If you have more tips on where to spend Christmas, please get in touch via the comment function below, via email,on Twitter, Facebook , Instagram or Google+. Its a nice article but I am amazed to not seen the name of Lisbon, Portugal which has not been mentioned in top 7 destinations list. My suggestion to author is to visit this beautiful city on this Christmas, you will surely enjoy dear. For ticketing and related services I prefer https://www.cheapflightstolisbon.co.uk , do visit this website and found unbeaten fares to Lisbon and other destinations. Do visit and booked your ticket at least once you will surely value it. Portugal is on everybody´s radar since last season and I guess the demand will increase. I love this information about world. Christmas is a prodigious reason to spread the love of travel!